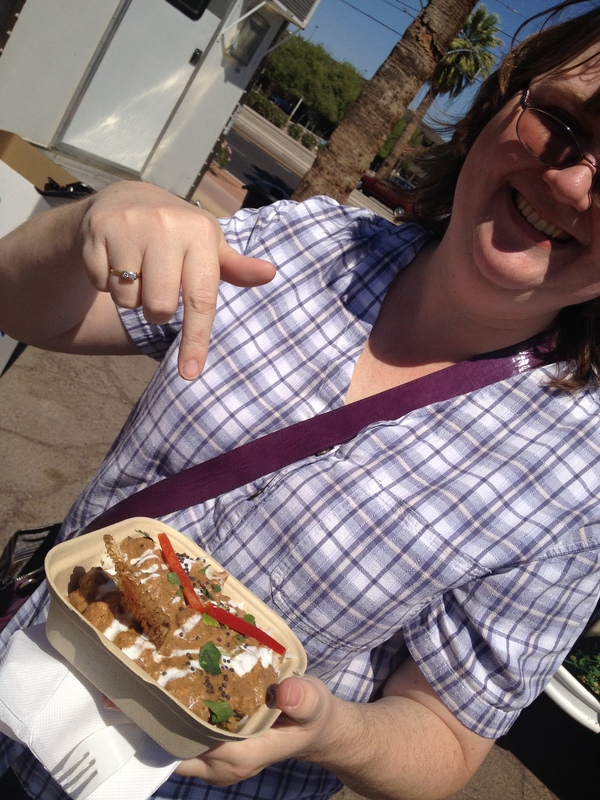 On Saturday, Nikki and I went to the inaugural Food Truck Festival at Park Central in downtown Phoenix. I’d been wanting to try a food truck for a while now; Eat Street makes them look so appealing! 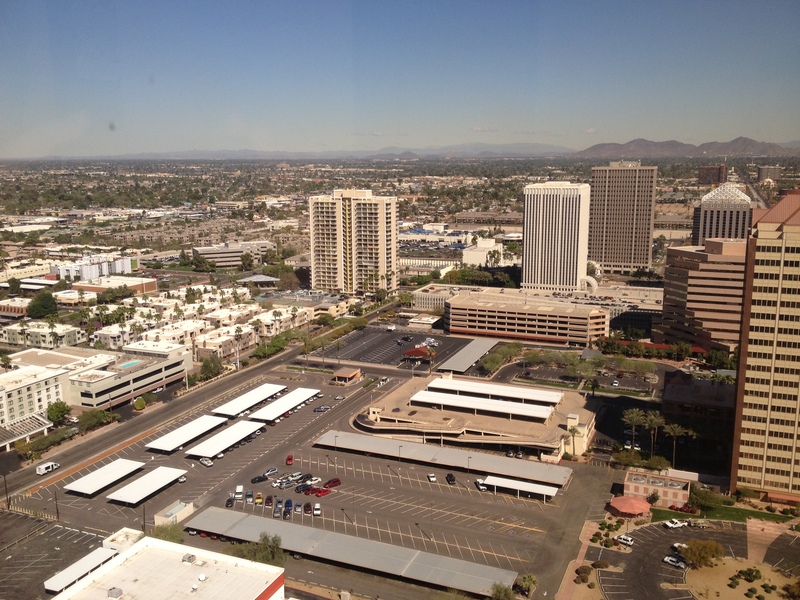 I wasn’t sure how Phoenix’s offerings would stack up against those showcased from different cities, but we were both pleasantly surprised. About twenty food trucks and carts were arranged along the perimeter of the tarmac set aside for the event. We took our time and checked each menu before making any decisions about what we wanted to eat. The trucks sold everything from fry bread (a Native American specialty) to Filipino food. After our first trip around the circle, we had our choiced narrowed down. We both started with a single street taco from the Carte Blanche Gourmet Tacos cart. Mine had pork carnitas topped with a sweet potato and pineapple chutney. Unbelievably great! Nikki chose the vegetarian option, which featured marinated mushroom pieces. She was equally impressed. If you have a chance to try Carte Blanche, we highly recommend it! For dessert, we bought fruit popcicles from the Paletas Betty cart. Paletas Betty has quite a reputation in Phoenix — I’ve read about them in at least two local magazines. They didn’t disappoint, either. I had the coconut and Nikki had the pineapple. Both of them had plenty of actual fruit in them and were the perfect ending to our foodie indulgence on a hot spring day. There were only two disappointments. One was the lack of seating provided for the event. There must have been a few hundred people there at any given time, but only a few awnings and tables were provided. The second was that the arts and crafts portion of the event didn’t live up to its potential. Apparently, the organizers were only able to sell space to two or three vendors in that vein. Hopefully, they will learn from their mistakes. I look forward to attending next year! Today, Nikki and I took a road trip to Palm Springs, California, where we met my publisher for lunch. As it turns out, that desert oasis is just about halfway between Phoenix and Temecula, California, where the Inknbeans Press office is located. Nikki showed up right at seven this morning, and we were on the road by ten after. The traffic was light and we enjoyed the company and the scenery as we made the 265-mile trek. As it turned out, neither of us knew much about Palm Springs. Our fleeting impressions of it were bleak, since the highway off-ramps don’t offer much promise. However, we were pleasantly surprised to discover that the city itself is quite lovely and more than lives up to its promise as a resort destination and game-show vacation prize. Did you know that there’s a Knott’s Berry Farm Soak City there? Nikki and I wished we’d brought our bathing suits! We arrived at the Manhattan in the Desert deli restaurant about fifteen minutes before noon. Unfortunately, the Boss Bean ran into some traffic delays, so she was about half an hour late. 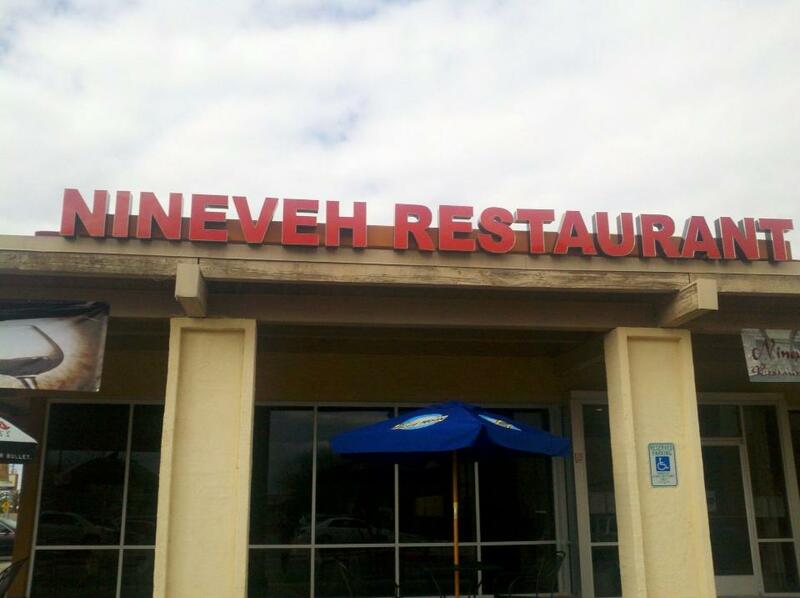 This is apparently a popular luncheon spot; the place was completely full by twelve-fifteen. And who could blame the locals? The menu is extensive and varied, and the bakery case at the entrance offers a wide array of mouth-watering treats. Nikki and I enjoyed fried dill-pickle spears while we waited for Jo to join us. When she arrived, we ordered our meals and enjoyed a long afternoon chatting about books. By the time we left, the restaurant was nearly empty. By the way, the sandwiches are huge! I came home with two-thirds of mine, and I know Jo took home at least half of hers. I also ended up with Jo’s leftover cheesecake, which is amazingly wonderful. We headed back toward Phoenix at a little past three this afternoon. I wish we had more time to check out the city today, but Nikki and I have already decided we will need to make another daytrip over to try out the water park. Why be embarrassed to wear our swimsuits in a city where no one knows us? Palm Springs — more beautiful than I thought. After forty years of more or less avoiding housework and cooking, I’m trying to turn over a new leaf — or maybe a new rug would be a more appropriate analogy. As I have stated before, I suffer from a rare disorder that usually only afflicts men: clutter-blindness. Basically, this means I have a hard time seeing messes. Dan, however, does not share this affliction. After nearly ten years together, I think I’m starting to see a correlation between his mood and the state of cleanliness in our home. His mood wasn’t great this past weekend; therefore, I spent the last two days cleaning my house. Unlike those more adept at such things, I find a house-cleaning checklist to be a life saver. The one I use even reminds me to switch the laundry after every few tasks. Since I am infamous for forgetting about laundry if I don’t have another load to do, the reminders are great. 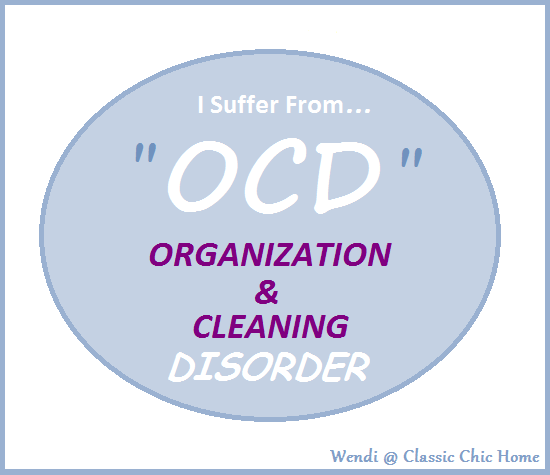 And, since I do have a touch of OCD (just not the good, organized kind), I love checking off boxes. Gathered the dishes and moved them to the kitchen? Check. Dusted the fans? Check. Wiped cabinets and knobs? Check! That last one was kind of a shocker to me, to be honest. I don’t think I ever wiped a cabinet or a knob before I read this list. I don’t remember any of my cabinets or knobs being particularly dirty before. On the other hand, with the brushed-nickel fittings in my new kitchen, wiping them down does seem to be a good idea. Who knows? Someday soon he might actually have a wife who does wifely things instead of spending way too many hours in front of the computer. If that happens though, someone may want to get me scheduled for a CAT scan. If you’d like to use the same house-cleaning checklist as I use, you can find it here. A few years ago, Dan and I decided to plant a fruit tree in our backyard to replace an evergreen that I thought was ugly. (It looked like a huge bush and served no purpose other than to fill the corner of our yard.) Dan wanted a lime tree, because they are good in gin and tonics, his favorite drink. I talked him into a lemon tree instead, because lemons have more uses than as garnish for a beverage he doesn’t actually drink anymore anyway. The lemon tree started producing lemons last year, and we did enjoy a few of them. Unfortunately, neither of us took the time to go out and thoroughly harvest the tree; most of the lemons went bad. This year, I watched with renewed interest as the lemon tree flowered and produced an abundance of fruit – none of which was actually ripe before Christmas, when Fuzzy asked for some fresh lemons. Of course, as is normal for me, I soon forgot all about the tree’s bounty. Then last week, Fuzzy came over with her dog. We stepped into the backyard and she pointed out the oranges on our other – also ignored – fruit tree. “You should see the lemon tree!” I said, and we stepped around the first tree to look at the second, which was loaded down with beautiful, yellow citrus. “You need to pick those lemons!” she said as she pulled one and then another off the tree. I went inside and grabbed some bags, and within a few minutes Fuzzy and I had harvested all but the highest branches. “What am I going to do with all these?” I asked. We must have had at least fifty, if not a hundred lemons. It just so happens that a year or so ago Dan and I bought a Breville juicer that could actually get juice from just about anything – lemons aren’t even a challenge. I took it out of the cabinet and assembled it while my grandmother rinsed the fruit in the sink. 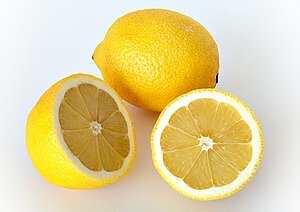 Before long, we were happily chopping lemons in half and dropping them into the juicer. When we were done, we had eight containers full of lemon juice – most of which is now in my freezer. My house smelled like lemons for days, and I will be drinking lemonade for months to come. And I also have the memory of picking and juicing lemons with my grandmother. Even if she did leave before it was time to clean up. I hope everyone who celebrates Christmas had a wonderful day. We have one more major holiday before the long, cold part of winter descends. So, live it up folks – one week of revelry remaining! As I said in my last post, I hosted Christmas dinner this year. All things considered, I believe it was a great success. Unfortunately, my mom came down with a cold and opted to stay home rather than risk infecting others. She did send Dad, though, who arrived bearing strawberry-pretzel-cream-cheese jello, pumpkin pie, and eggnog (all from scratch and completely delicious). Fuzzy brought two pecan pies, and she left one here with me – that doesn’t bode well for my diet. We did have one small catastrophe. Two days ago, I stood in the middle of my kitchen, marveling at its completeness. This morning, Dan and I discovered that our sink – an under-mount model, no less – has developed a crack. We’re not sure exactly when the crack opened up, but, thankfully, we caught it before there was too much water damage in the cabinet below. Unfortunately, we have no idea how we’re going to fix this problem. Right now, we’re crossing our fingers and praying that the company that sold us the sink and countertops will have some way to repair it. In the meantime, we just have to avoid using the left half of the sink. Boy, am I glad I have a dishwasher! I received a purple Furby from Santa, and she’s pretty cute. I had an original Furby years ago. The new ones are a bit more interactive. She dances to music; she seems partial to Tom Petty. However, nothing is as cute as Truman, who perched himself in the middle of our bed earlier today as if he were the king of the world. If only I could teach him to speak English. I’m sure he would like to tell me a few things. To all of you who have been reading this blog, thank you so much. I look forward to telling you many more stories in the coming months and years. Prince Truman on Christmas morning. Now I know it’s Christmas: my father-in-law sent over a stack of Frango Mint boxes. If you have never had these wonderful chocolate delights, I recommend you head for your nearest Macy’s immediately and buy some. They are the best mints I have ever had – and I am a connoisseur of mints. Just sayin’. In Dan’s family, Frango Mints are part of the Chicago Christmas tradition. It used to be that the only place to buy them in the Midwest was Marshall Field’s, the huge Chicago department store. Dan’s father would always pick up a box or two for the big day. When I first joined the family, one of my sisters-in-law would buy them and ship them to Mom and Dad Bennett, who would then bring them along to Christmas dinner. The first time I tasted one of these little half-inch-square chocolates, I knew I had found the perfect candy – and the perfect family. Such dedication to tradition! Such good taste! Marshall Field’s went out of business a few years ago. You should have heard the moaning and groaning that came from the Bennett clan. No more Frangos! Christmas would never be the same! When Macy’s announced that they would continue to produce the magical confection, my in-laws expressed some doubt that the mints would be as good as they had been in the past. Yet, when Christmas came, the chocolates appeared (and shortly disappeared). The Marshall Field’s lamentation was permanently silenced as the mouths were stuffed with tasty candy. There are three mints left in the box. I intend to eat all of them before Dan gets home. Don’t judge me…he had more than I did. When I was a child, Christmas was almost always held at my parents’ home. Due to various family issues with my parents’ siblings’ families, I was the only grandchild that both sets of my grandparents were able to see regularly. Dad would make eggnog (nothing like the stuff they sell in the grocery store), and Mom would make just about everything else, plus pumpkin pies. This was also the time when (what was left of) the cookies and breads made their appearance. I still look forward to Mom’s date pinwheels every year – my favorites! Grandma Millie and Grandpa John would show up early with a green-bean casserole. Grandma Millie liked to be around to give Mom a helping hand. She always seemed to love the holidays. Grandpa John would find a place to sit, usually in front of the television, if I recall correctly. To be honest, I didn’t pay a lot of attention to the adults – I was usually fully consumed in playing with whatever toys Santa and my parents had provided. My dad’s parents would show up closer to mealtime. Fuzzy always brought the pecan pie – a tradition that continues to this day. Grandpa Howard would find the other men while she joined Mom and Grandma Millie in the kitchen. I always looked forward to showing Fuzzy what I had gotten for Christmas, because she was the best at looking interested and impressed. When I was very young, of course, Granddaddy and Ma were also at these gatherings. In my memory, I can still hear Granddaddy cackle with joy after teasing my mother or Ma. Granddaddy was fond of saying that he flitted among the pretty flowers and settled on a cow-pie, which would irritate Ma and make the rest of the family laugh. Less frequently, various aunts and uncles would make their appearances at these festive occasions. I was almost always the only child, though. Some might think that would make Christmas a lonely holiday for me, but I was already more than accustomed to entertaining myself. Plus, once the meal was served, the adults were bound to start sharing family stories. I learned my family’s history and my storytelling skills by listening to my elders. When the Christmas meal was over and the last of the lingering family members left, Dad would light a fire in the fireplace and we would cuddle up as a family and watch television or play one of my new games. The year I got the ColecoVision game console, I think we played video games for hours. Before that, Dad and I had wasted many quarters in the Valley West arcade. Dad was a big fan of Donkey Kong. I think we had Donkey Kong for the game console, too. The most exciting present I’d ever gotten…ColecoVision! This holiday is absolutely my favorite, at least until November 17th is declared Susan Wells Bennett Day. I’m sure Dan will protest that every day is Susan Wells Bennett Day, but that’s really only true if you live in this house. Otherwise, not so much. When I was a kid, my mom was excellent at keeping Christmas. She baked – oh my God, did she ever bake! A dozen varieties of cookies, pies, breads, and candies emerged from her kitchen between Thanksgiving and Christmas. She would store these treats in the freezer; Dad and I got to be pretty good at sneaking in and stealing some of the goodies. (The trick was to spread the remaining cookies out so that the missing items were less obvious.) The tree almost always went up over Thanksgiving weekend, and it didn’t come down until a week or two after New Year’s Day. And Mom, who is a natural-born shopper if ever there was one, always seemed a little cheerier when she was shopping for Christmas presents. Of course, I humored her by “believing” in Santa for much longer than my contemporaries. The payoff Mom offered for my continued “faith” was a couple extra gifts from “Santa” – a good deal, I think. As an adult, I have not always kept Christmas well. 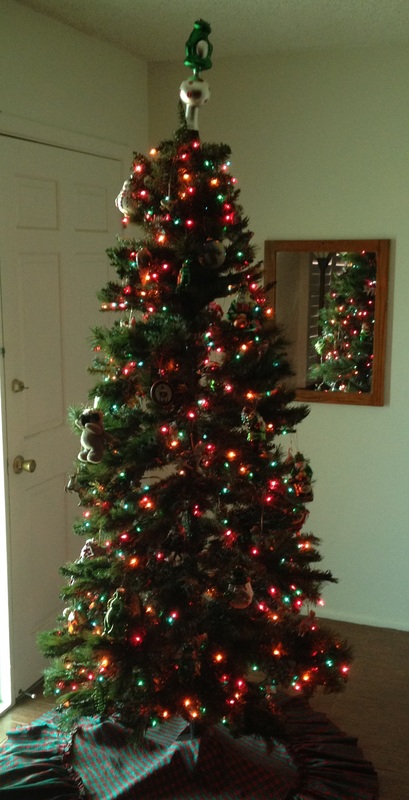 In recent years, Dan and I have sometimes failed to decorate until only a few days before Christmas. Last year, we didn’t even get our Christmas cards done – shameful, really. And our gift shopping has been haphazard at best. Not this year, though! I am proud to say that not only are we fully decorated, we also found a way to display not only our crèche but also my Department 56 Christmas in the City collection. Our home is Christmas-ready, which is particularly good since I have volunteered to host the Christmas dinner this year. Our gifts are all purchased, and, as soon as I buy some tape, they will be wrapped as well. Christmas cards will be mailed out in early December, instead of around Christmas Eve. And I’m feeling cheerier this year, too. Life is never perfect, but as long as you have someone to share the holidays with, any Christmas can be the best Christmas yet. I’m planning to share a few stories of Christmases past over the coming weeks. I hope you’ll share some good memories with me, too!